Officially titled “Sixteen Maps Accompanying Report On Forest Trees Of North America, By C.S. Sargent, 1884,” this beautiful collection of maps-as-info-graphics produced by the U.S. Census provides a Victorian era view of forests in North America by genus of tree, density, and position. Thanks to Rebecca Onion who runs Slate’s history blog The Vault (@SlateVault) for posting this article, which contains link to high-res images for zoom-in fun. Here’s one of the stranger items I’ve stumbled upon in my dustbin diving. 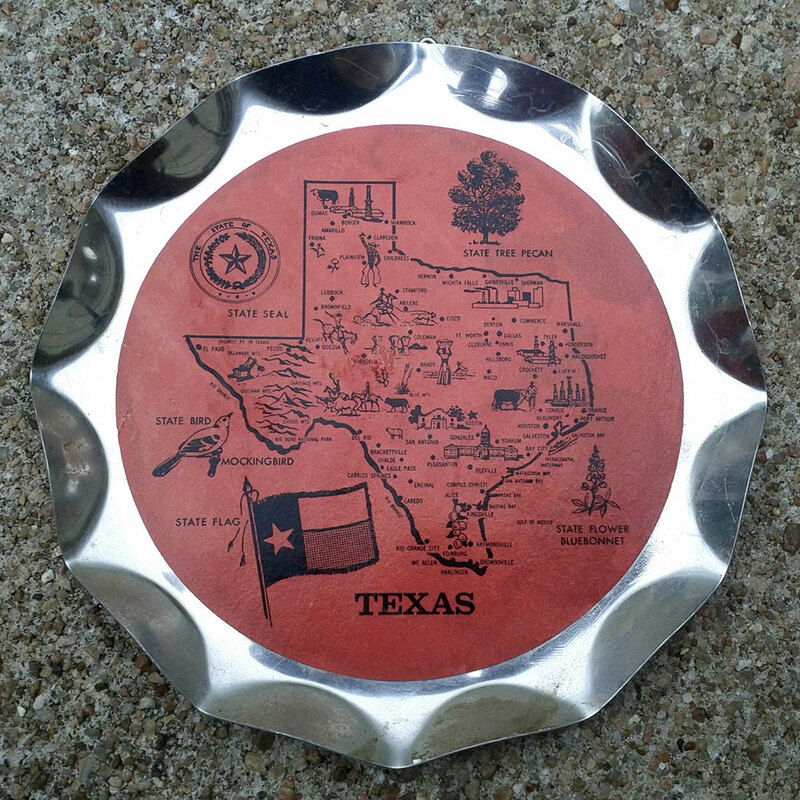 Apparently, you used to be able to stick a stamp on just about anything and mail it—including this aluminum Tray Postcard adorned with all of the highlights one could handle on their trip to the Lone Star State. There’s no indication of when this was created nor whether any were actually mailed or delivered to their intended recipients. 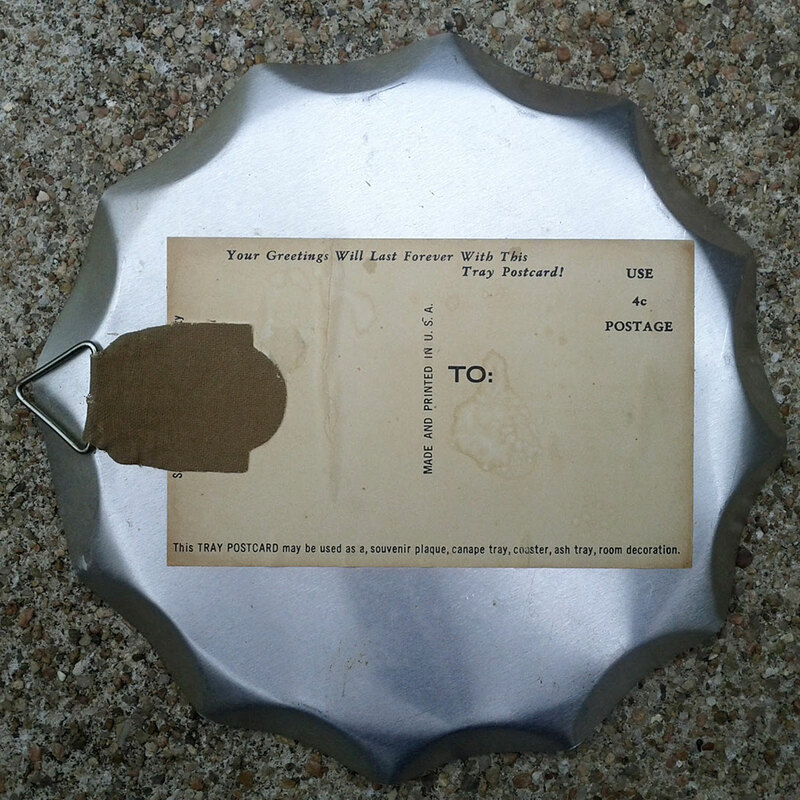 Just a slice of potential postal history that managed to survive relatively unscathed. Seen one in the wild? Or, even better, received one? Feast your eyes on over 60 beautiful, ugly, tattered and torn, hand-painted & hand-made signs from Turkey. Signs from Istanbul (not Constantinople), Izmir, Selcuk, Effes, Kabak and beyond are here for your drooling pleasure. View the thumbnail gallery or the slide show. Enjoy! A funny, if not scary, op-ed in the New York Times revisits the Homeland Security terrorism-alert system, though I’m not certain it was meant to be funny… Neville Brody and Paula Scher, among others, chime in with their graphic suggestions. Feast your eyes on over 40 beautiful, ugly, torn and tattered hand-painted & hand-made signs from Vietnam. Images hail from such cities as Saigon, Hanoi, Da Lat, Nha Trang, Hoi An, Da Nang and Can Tho just to name a few. View the thumbnail gallery or the slide show. Enjoy! If you’re in the NYC area and you haven’t made it to MoMA in a while, now would be the time to do so. Design and the Elastic Mind is a new exhibit which examines how designers of all kinds are exploring advances in science and technology—not to mention the changes in how we both view and relate to the world around us—in order to rethink who we are and how we spend our limited time here on spaceship Earth. This exhibit, which takes a few hours to really soak in, makes it clear that we are on the verge of, if not deeply immersed in, a fundamental leap in our thinking, doing and being. There are sublime examples of how data sources such as internet traffic and prison incarceration-vs.-spending can be visualized in new ways and for new means. The innovative concept of “thinkering” is often evoked in the demonstration of how everyday objects can have uses and lives beyond their original purpose. In many of the projects on display the roles of scientist, inventor and designer are virtually interchangeable though they are mainly presented in the context of design. Even if you do make it to the exhibit I highly recommend spending an afternoon clicking around the wonderful website that MoMA created which reflects the character of the exhibit in its approach to user experience and information design. As a visual designer I was inspired by Design and the Elastic Mind to look beyond the current hype of green and sustainable design and reexamine not only what I do but how and why. I’ll keep you posted on what I discover.